The BDS Solutions Service Desk provides an ITIL (Information Technology Infrastructure Library) accredited single point of contact for all of its Microsoft and VMware Support Services. Supporting over a hundred NHS organisations, our Service Desk delivers in excess of 5,000 hours a year, supporting customers across our full portfolio of products. 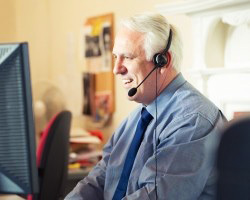 Our Flexi-Care tailored support service offers BDS Solutions customers a fully customisable Service Level Agreement (SLA) driven support service, delivered via our dedicated HSCN connection. Core Subscription: With immediate signup available for just £999, including 10 units of remote support, this fully flexible subscription includes per-minute billing, periodic statements, comprehensive account management and roll-over of unused support. Call-Off Consultancy: Call-Off Consultancy offers BDS Solutions Flexi-Care customers the ability to purchase and reserve additional ‘banked’ funds at substantially discounted rates, suitable when planned specialist consultancy resources are required on short notice at a later date. Night-Care: Our Night-Care service provides out-of-hours fixed cost incident management and recovery support to ensure business continuity, particularly in the event of critical system failure. When combined with Flexi-Care Support, the addition of Night-Care provides customers with 24/7 cover. Providing collation of inventory, configuration and usage data, as well as identifying opportunities to implement technology best practice and optimise configuration and performance, this service is also regarded as an invaluable asset in mitigating risk and providing suggestions for future improvements.